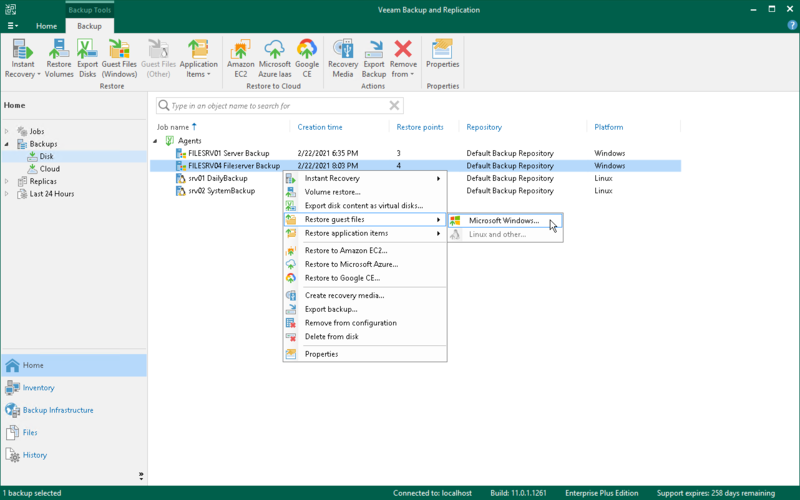 For Veeam Agent backups created on the cloud repository, you can perform restore tasks in Veeam Backup & Replication deployed on the tenant backup server. The service provider cannot perform restore tasks with Veeam Agent backups. The procedure of file-level restore practically does not differ from a regular one. To learn more about file-level restore, see Veeam Backup & Replication Documentation.